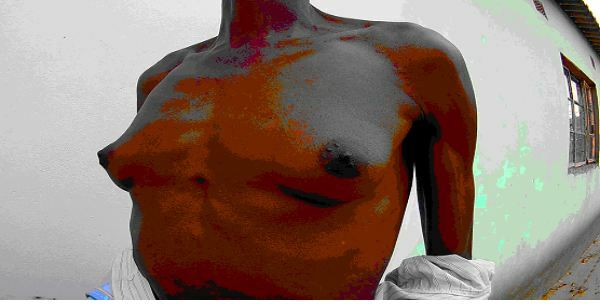 Wonders shall never seize in Zimbabwe where a 46-year-old man has reportedly been growing breasts which he believes it’s caused by his wife. Blessed Bepe from Gokwe town has been having sleepless nights because of his new female feature on his body. He started to believe the punishment was caused by his wife after he visited a witchdoctor who told him so. 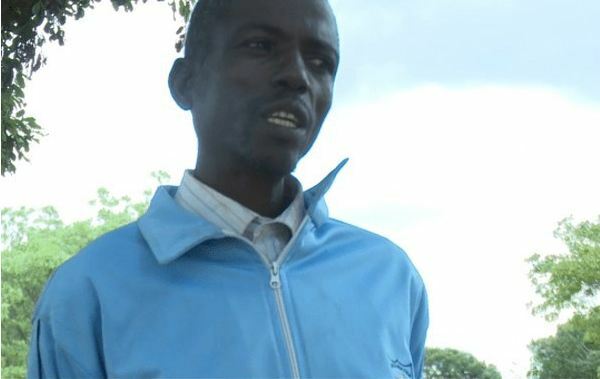 “When I consulted a local doctor, he said my wife is behind this but to avoid being fined by my in-laws, I thought the local traditional healer could not resolve the issue,” he told B-Metro. As such the matter has been set down for a hearing before the village Chief. But the accused wife, Sithokozile Nkomo, pleaded not guilty. Therefore, without evidence to pin her down the Chief is in a gridlock. Nkomo told B-Metro that her husband just has a medical condition. Instead of claiming to have been bewitched he should go to the hospital, she advises. “It’s just a disease which is affecting my husband and I have no hand in it. They took me before the Chief accusing me of being a witch but I denied the allegations,” she said. Bepe said the breasts started developing two years ago and he took some medication. “When they started developing some two years back, I took pills for elephantiasis and the situation got worse. Now they have grown big and very painful especially during the day,” he said. Dr Solwayo Ngwenya of a hospital located in the area told B-Metro that it was nothing new to deal with, Bepe should seek specialist help. “He has what is called Gynaecomastia (enlargement of a man’s breasts, usually due to hormone imbalance or hormone therapy). It could be caused by production of more female hormones than male ones. “Or he could have developed a tumour that produces more female hormones. If someone has gone fat, the fat can result in more production of female hormones,” he said. The doctor added that Bepe should first go for medical tests. The same goes for hairy women and those that grow beard.